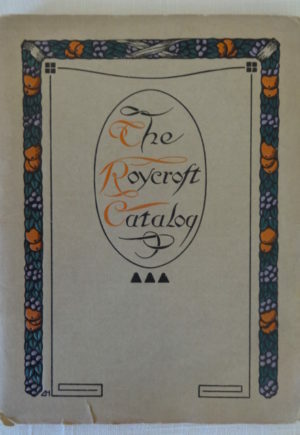 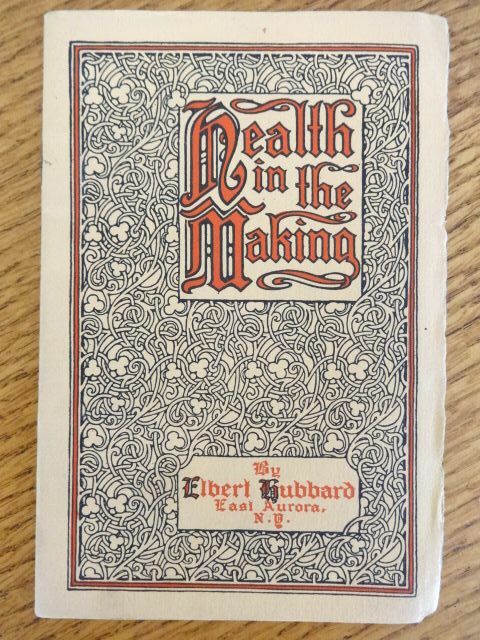 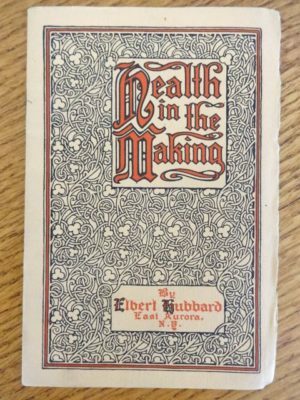 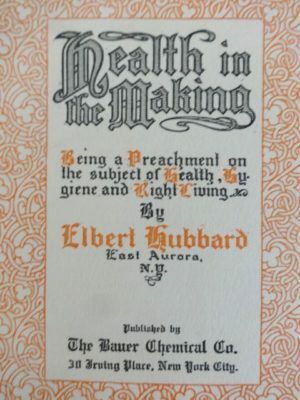 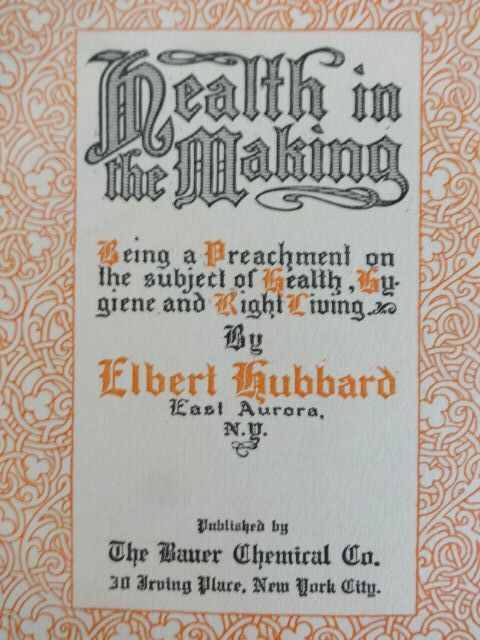 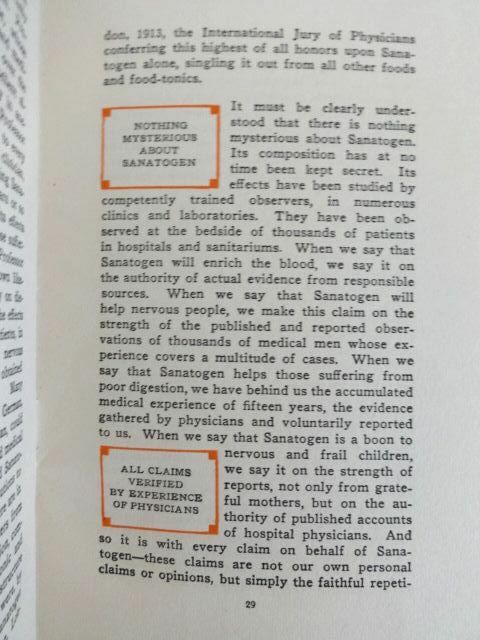 Here’s an unusual book by Roycrofter Elbert Hubbard, Health in the Making, published by Bauer Chemical Co in 1913: “Being a Preachment on the Subject of Health, Hygiene and Right Living”. 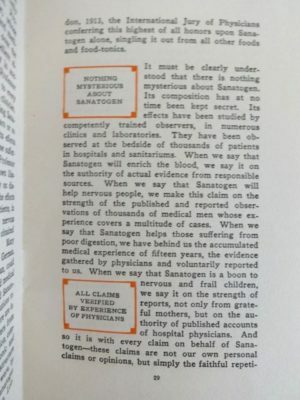 Also advertises “Sanatogen”, a brain tonic and nerve revitaliser. 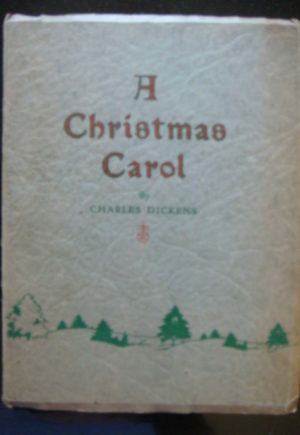 32 pages in original wraps, in near very good condition with light wear and very small edge tears. 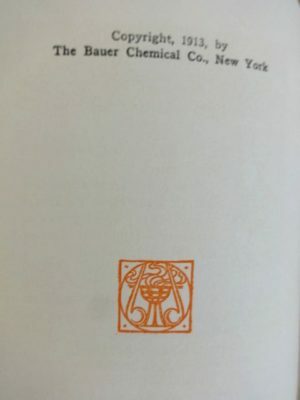 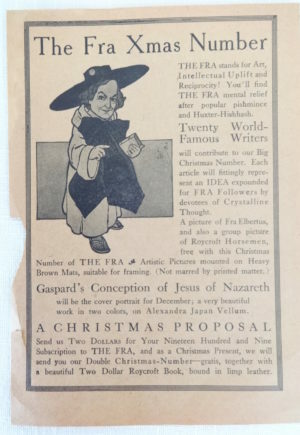 4 3/4 x 7″.